The Fuyu persimmons are grown by our neighbor Frank Espriella here in Guinda. They are not certified organic. He doesn’t use synthetic fertilizers or pesticides but opts to not be certified organic as he has a very small persimmon orchard. The Fuyu persimmon is eaten firm, like an apple, no need to peel the skin. Place your order for whole or half hams by December 18, 2016 for delivery the week before Christmas. The hams are $10 per pound. They range in size from 4.5 – 6.2 lbs. 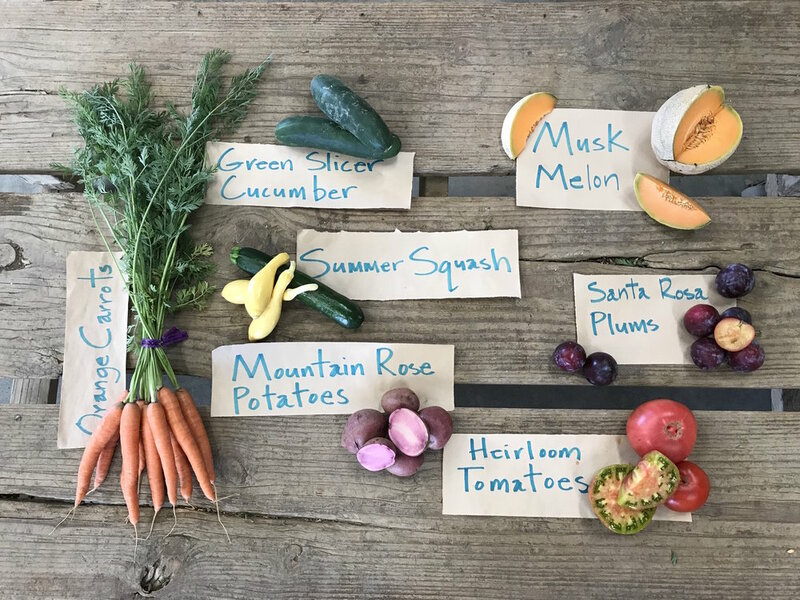 Please contact the farm: csa@riverdogfarm.com or 530-796-3802 to place your order. Riverdog Farm pigs and chickens are certified organic animals raised on diets of certified organic corn/soy/triticale, produce culls, alfalfa, rye grass, clover, Three Twins Ice Cream overruns, and whey from Cowgirl Creamery. The meat is not labeled organic because the processing facilities are not yet certified organic. We are working with our processors to have the facilities become certified organic so that we can label the packaged meat as certified organic. The farm will be closed from Saturday December 24 until Sunday January 1, 2016.